At times it seems that covering President Donald Trump has turned into an endless cycle of fact-checking by the press, producing accusations of news media bias in return. But facts aren't biased. They're just facts. And to ignore facts is its own form of bias. So in that spirit, 2018 saw the start of ABC News' weekly fact check of the Trump administration. And, thanks to the president, there was no shortage of content. So, as this year comes to a close, we take a look back at seven of Trump most outrageous claims. In the runup to this year's midterm elections, polls showed health care was a top concern for American voters and that protection for people with preexisting conditions (a signature piece of President Barack Obama's health care law) was popular. With that in mind, President Trump falsely claimed on numerous occasions that "all Republicans support people with pre-existing conditions" -- and, even more outrageous -- that "Democrats do not." The statement is not only demonstrably false, it shamelessly attempts to ascribe his own unpopular positions to his opponents. All Republicans do not support providing insurance protections for people with preexisting medical conditions. In fact, thanks to a lawsuit brought by a group of 20 Republican state attorneys general, a federal judge in Texas ruled in late December that Obamacare is unconstitutional. And while that ruling is expected to be appealed, Republicans have now created great uncertainty for millions of people who rely on those protections. Because the Trump administration won't appeal the ruling, that role has fallen to a handful of Democratic state leaders. A view of inside U.S. Customs and Border Protection (CBP) detention facility shows detainees inside fenced areas at Rio Grande Valley Centralized Processing Center in Rio Grande City, Texas, June 17, 2018. President Trump's failed "zero tolerance" policy, which led to the separation of migrant children from their parents at the border, was perhaps his most unpopular decision of 2018. He was so overrun by criticism that he eventually had to sign an executive order undoing his own policy. So, how did Trump fight back? He falsely suggested that he was undoing the policy of his predecessor. "Under President Obama, they separated children from the parents," Trump declared in from the Roosevelt Room of the White House on November 1. "We actually put it so that that didn't happen." He tweeted the false claim again in early December. "The Democrats policy of Child Separation on the Border during the Obama Administration was far worse than the way we handle it now. 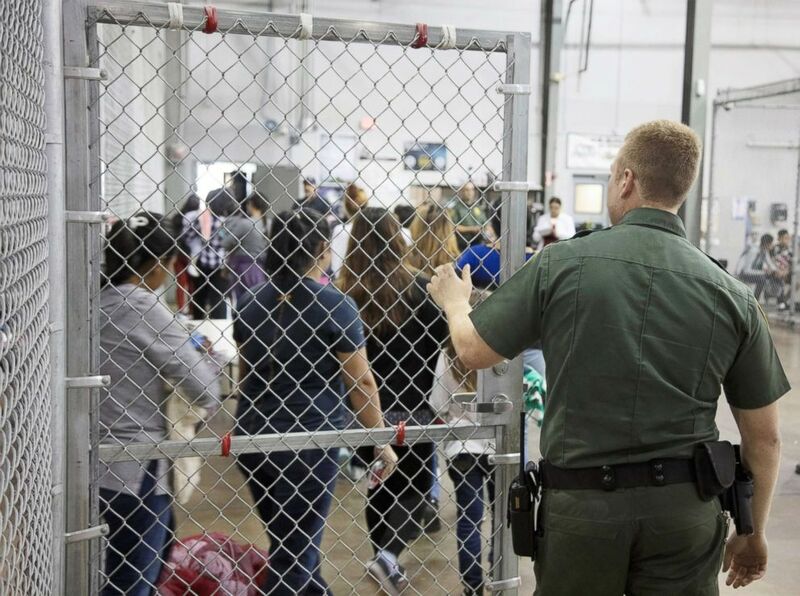 Remember the 2014 picture of children in cages - the Obama years. However, if you don’t separate, FAR more people will come. Smugglers use the kids!" The reality is that the Trump administration's policy, announced by former Attorney General Jeff Sessions last spring, was a departure from the actions of past administrations, which had in most cases released families into the United States pending future court dates. Trump's policy resulted in the separation of more than 2,600 children from their parents. To make matters worse, the administration claimed there was a "central database" they were using to keep track of separated children so they could eventually be reunited with their parents. But a Department of Homeland Security inspector general's report later determined there was never any evidence that such a database existed. It is true that, during the Obama and Bush administrations, a number of arriving families were separated. (And of course, for decades U.S. immigration law has resulted more broadly in the separation of families when parents or siblings living in the U.S. are detained or deported). But unlike the Trump administration’s zero tolerance policy toward newly arriving migrants and asylum seekers, the majority of those cases were often tied to other crimes like drug trafficking or even returning to the U.S. after having been previously deported. Unrelated to the zero tolerance policy, it's also worth noting that the Trump administration is dealing with a surge of unaccompanied minors crossing into the United States, resulting in the detention of roughly 15,000 migrant youth being held in U.S. detention centers and waiting for sponsors. After receiving complaints from at least one detention center about personnel who were "physically and emotionally exhausted" the Trump administration has finally decided to roll back its strict requirement that everyone in a sponsor's household undergoes fingerprinting and an extensive criminal background check. Houses damaged or destroyed by Hurricane Maria stand at the squatter community of Villa Hugo in Canovanas, Puerto Rico, Dec. 11, 2017. In September 2017, Hurricane Maria devastated Puerto Rico. 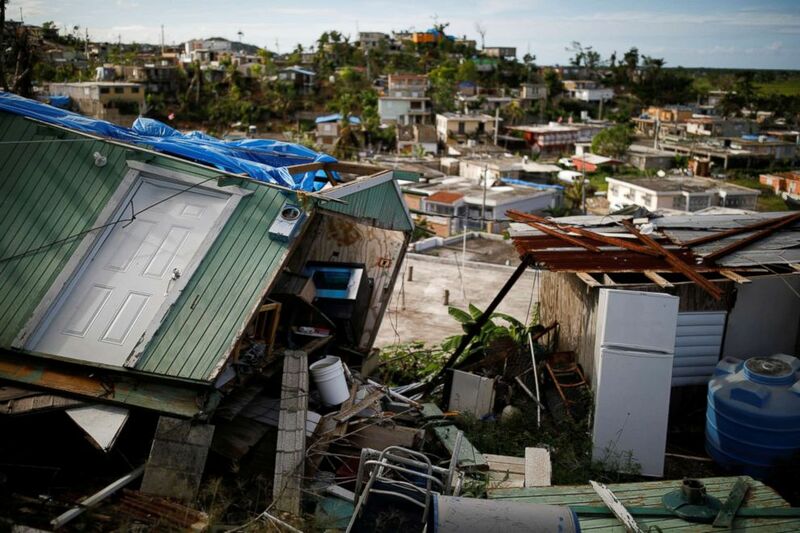 A year later, the George Washington University's Milken Institute of Public health produced a comprehensive report that estimated "there were 2,975 excess deaths in Puerto Rico due to Hurricane Maria between September 2017 and February." The president, facing renewed criticism about the administration's response, lashed out, denying the results of the study without providing any contradictory evidence. In one way, the president is absolutely right: 3,000 people hadn't yet died when he arrived to survey the damage. But the suggestion that these later deaths were not linked to the storm, and were, in fact, a made up number by Democrats, drew swift and bipartisan condemnation on Capitol Hill. In fact, the Milken Institute study showed that many who died were elderly, sick or impoverished and unable to endure the devastating loss of infrastructure, food and water and access to medical treatment. The president was not able to provide evidence to refute those conclusions. The White House never provided any number it considers to be an accurate representation of the death toll nor did it provide any evidence to suggest Democrats played a role in the study. It's a perplexing falsehood Trump has repeated over and over this year. One week before traveling to Pennsylvania this summer, Trump declared that United States Steel Corporation was building six new mills. By the next week, speaking at a campaign rally in Wilkes-Barre, Pennsylvania, the heart of American steel country, President Trump claimed: "U.S. Steel is opening up seven plants." Then, by October, it was "eight or nine." The last time he mentioned U.S. Steel, on Nov. 1, it was back down to seven. So far for 2018, they've opened no new plants. 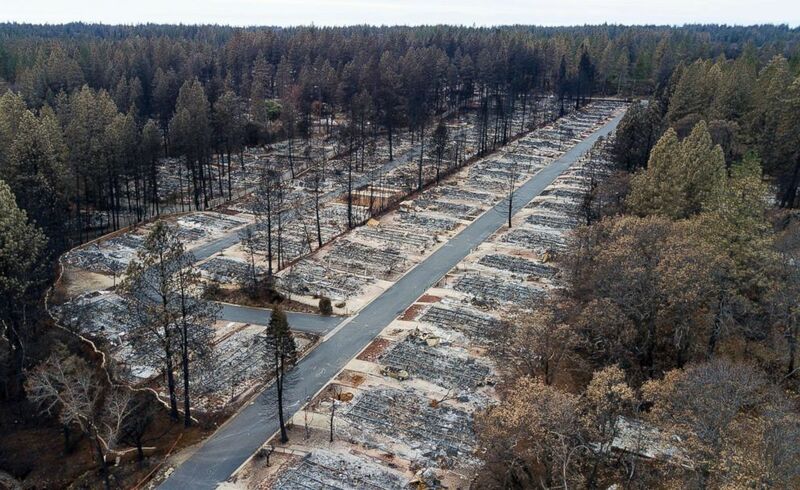 Homes leveled by the Camp Fire line the Ridgewood Mobile Home Park retirement community in Paradise, Calif., Dec. 3, 2018. The wildfire season ravaged parts of California this year. The Camp Fire last month was the state's deadliest ever. Enter the president, who told the Associated Press this year that he has a "natural instinct for science." The problem, he said, is "bad environmental laws which aren’t allowing massive amounts of readily available water to be properly utilized. It is being diverted into the Pacific Ocean." Unfortunately, Trump's "science instincts" let him down on this one. As California's Department of Forestry and Fire Protection said in response: "We have plenty of water to fight these fires." They pointed specifically to all the nearby water resources and attributed the fires to extreme weather conditions. In spite of that, Trump ordered the National Marine Fisheries to "facilitate access" to water needed to fight fires in California. That led to suspicion that Trump was actually wading into to an age-old dispute between California farmers and environmentalists. Farmers want water diverted to them, while environmentalists argue that further threatens endangered fish. The president's closing argument ahead of the midterm election was to announce that he had plans to propose brand new, 10 percent tax cut for middle-class families. The false promise was made at a Texas campaign rally just days before the election. "We’re going to be putting in a 10 percent tax cut for middle-income families," Trump said. "It’s going to be put in next week, 10 percent tax cut. Kevin Brady is working on it. We’ve been working on it for a few months, a 10 percent brand-new — and that is in addition to the big tax cuts that you’ve already gotten." He made the false claim repeatedly in those closing days, as he campaigned hard for votes ahead of the midterm election. Eventually, his own Treasury Secretary, Steve Mnuchin, appeared to acknowledge it was never a proposal that was seriously being considered. “I’m not going to comment on whether it is a real thing or not a real thing,” Mnuchin told Bloomberg news in Washington on December. This was the campaign promise candidate Donald Trump made in August 2016, just before the presidential election. "One thing I can promise you is this: I will always tell you the truth." But when ABC News' Jonathan Karl pressed him on that promise in an interview this year, Trump wasn't so firm. It turns out, according to Trump himself, he tries to tell the truth, but it doesn't always work out that way.